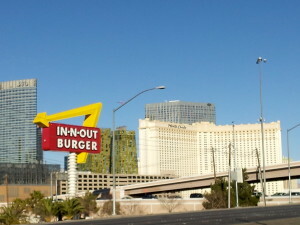 The area is served by the Las Vegas McCarran International Airport (LAS). All the big U.S. carriers (Alaska Airlines, Allegiant Airlines, American Airlines, Delta, Frontier Airlines, Hawaiian Airlines, JetBlue, Southwest Airlines, Spirit Airlines, Sun Country Airlines, United, Virgin America), serve this airport and there is international service from the likes of AeroMexico, Air Canada, British Airways, Copa, Eidelweiss, InterJet, Korean Airlines, Norwegian Air Shuttle, Virgin Atlantic Airways, Volaris and WestJet plus a number of charter airlines like Condor, Sunwing Airlines and Thomas Cook fly in as well. If you have a private airplane, not to worry you also fly into McCarran. 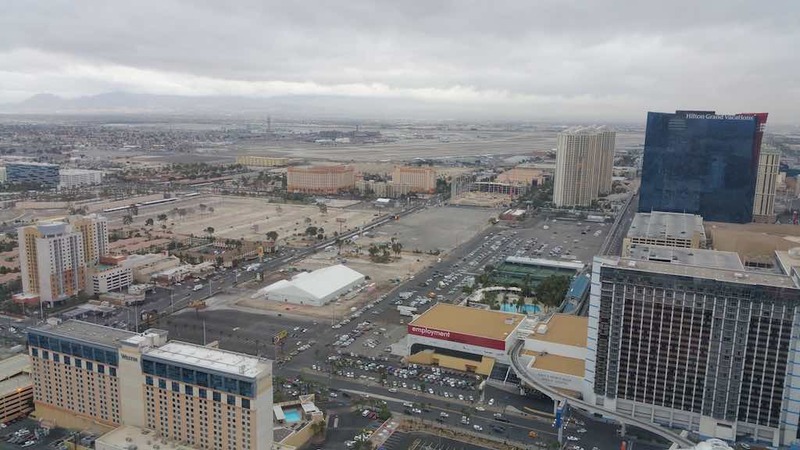 The airport is located just about 10 minutes from the Strip by car. 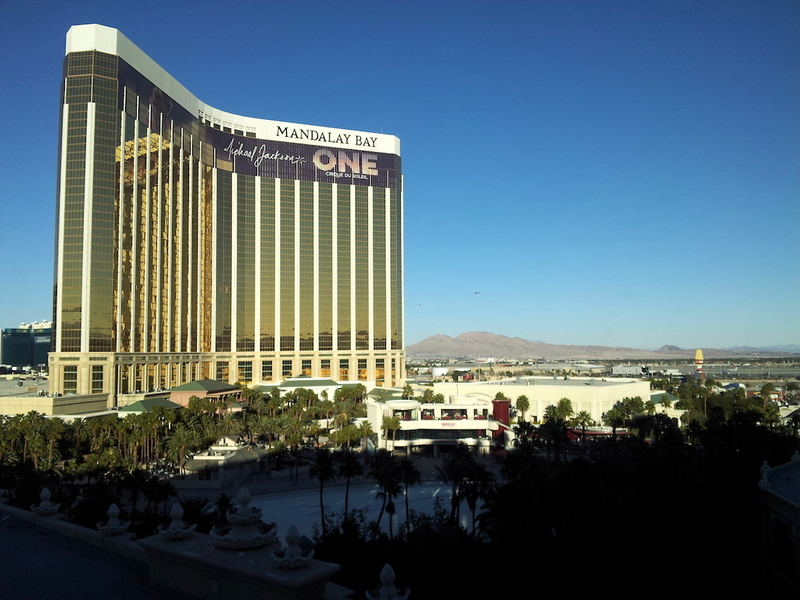 As a matter of fact, one of the airport fences is on the south end of the Strip near the Mandalay Bay hotel. Speaking of hotels, each year when I return to Vegas, there is one or two new hotels. They seem to just appear out of nowhere. On a recent search, I saw a Suite at the newly minted Mandarin Oriental for about $8,000 per night! Crazy huh? You don’t have to spend that much unless you want to do so though. If you do it smartly you may even get a room for free. Vegas hotels will comp a lot of things if you spend money gambling, but you have to be a member of their frequent gambler programs. This is how they keep track of it. This can earn you things like free meals, free drinks, room upgrades, late check out, early check-ins, free shows, free room nights, transportation, etc. Caesars Entertainment: Not currently aligned with any of the major programs; has its own program called Total Rewards. 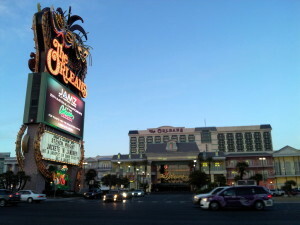 Bally’s, Caesars Palace, The Flamingo, Harrah’s, Paris, planet hollywood, The Quad and Rio are the hotels. Cosmopolitan: Marriott Rewards program. Book at the cosmopolitan’s web site or at Marriott.com. Encore and Wynn Las Vegas: Has their own program Red Card. MGM Resorts International: Mlife program (aligned with Hyatt Gold Passport program) – Aria, Bellagio, The Delano, Excalibur, Luxor, Mandalay Bay, MGM Grand, The Mirage, Monte Carlo, New York-New York, The Signature at Mandalay Bay, THEhotel at Mandalay Bay and Vdara. Go to the Hyatt web site and link your Gold Passport account to the Mlife account. Tropicana now a DoubleTree by Hilton property: aligned with Hilton HHonors program. Book at Tropicana’s web site or Hilton’s. 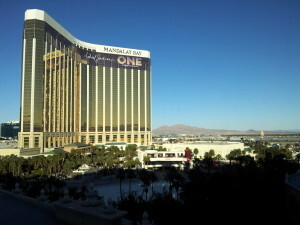 Westin: Starwood Preferred Guest – Although not on the Strip ( a block off) is a good choice. Off Strip, there is a Candlewood Suites (IHG), Holiday Inn Club Vacations (IHG), Renaissance (Marriott), Residence Inns (Marriott), Hyatt Place (Hyatt), etc. So you have many choices. In terms of booking, you can book directly with the hotels, the partner loyalty programs or at our partner HotelsCombined.com (I make a small commission). Or you can use this search box now. For the best deals, stay Sunday to Thursday, plus its not as crowded unless you love the crowd. Friday and Saturday nights are the most busy nights and as such you will pay more for the hotels. Except the weekend after CES as pretty much everyone exits town that weekend after the weeklong show. 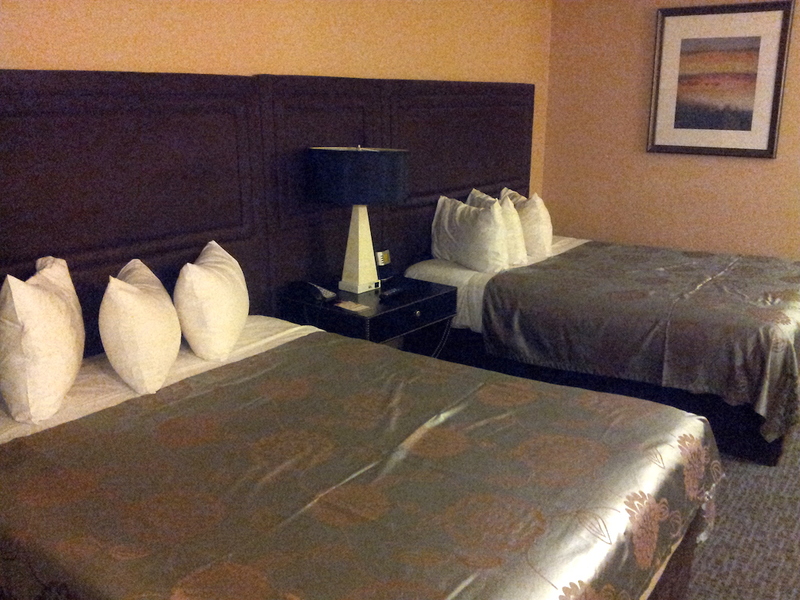 During major events, you will pay a premium price for a hotel even during the week. Also remember that you can stay just a block from the Strip and still have a wonderful time. Upgrades are usually handled based on an upgrade pricing chart, status or how nice you are to the check-in agent and of course availability. Otherwise you’ll get a room facing the roof or another set of rooms. I’ve heard that you can tip the check-in clerk for a better room, but not sure about that. It’s Vegas, so all things are possible. Limousine. 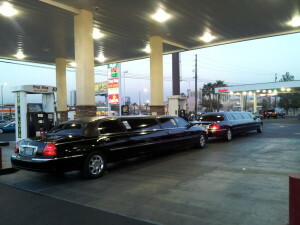 You can rent a limousine for $65 or so to take you from the airport to your hotel on the Strip or a little more to go farther. These are no ordinary limousines, you can basically have a party inside and some come with their own dancing pole. You can also rent them by the hour to just take you around as you party hard. Shared Ride. 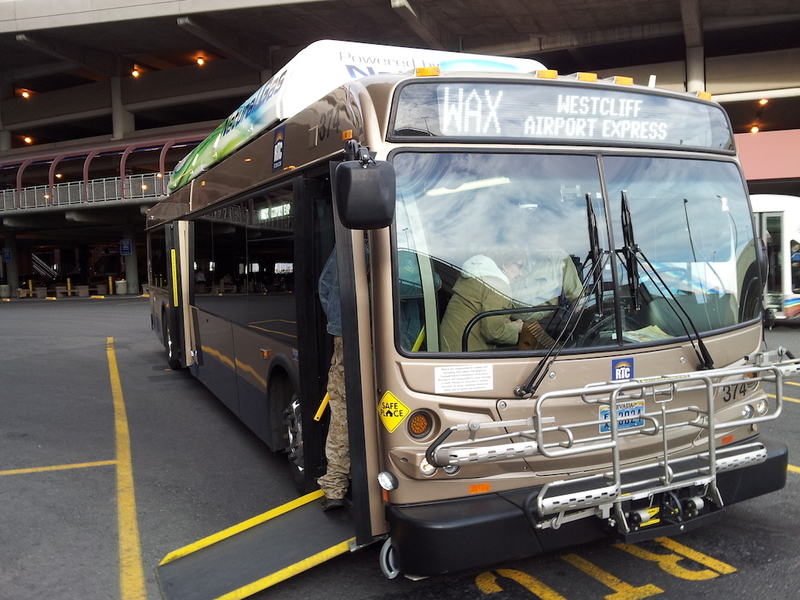 Once you arrive most people just take the shared ride shuttles from the airport. There are many to choose from, so just pick one. Typically the prices are the same or within a dollar of each other. Once they are full, off you go. 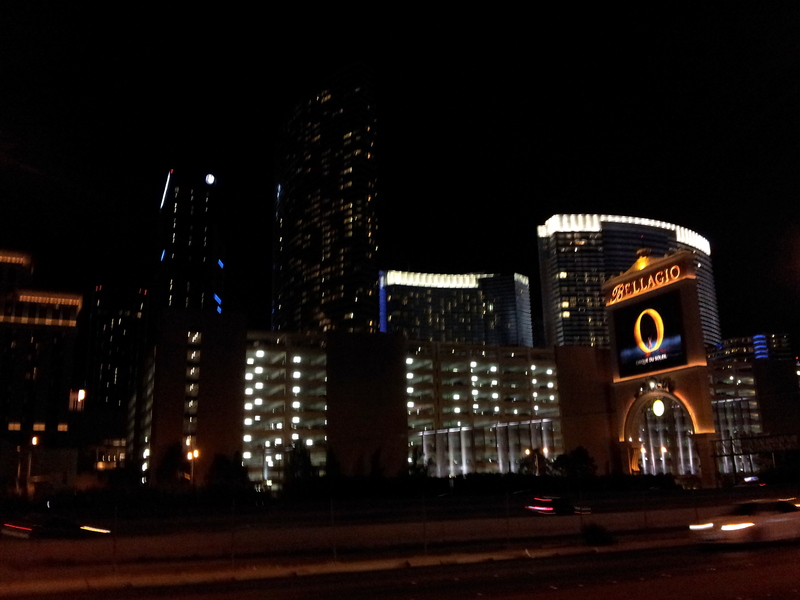 It’s a great way to see a lot of the casinos if your stop is the last one. Bus. It is not necessary to rent a car unless you want to explore areas far off the Strip. Most of the hotels are connected either by walkways, trains or monorails. 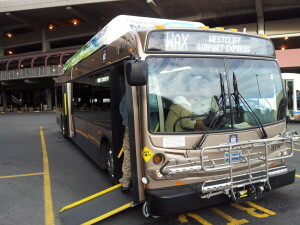 Plus there are local buses that run down the Strip and cross the Strip and connect with the airport routes (108, 109 and WAX). Check the RTC Website for current fare information. If you do rent a car though, prepare for traffic as you cruise the Strip and watch for pedestrians. Parking is free at most hotels, but the parking areas are usually a bit of a walk to the hotels. Walk, not from the airport, although you can if you wish (I’ve walked from the Strip to the airport, there is a sidewalk all the way), but up and down the Strip. This is the easiest way to explore the area if you are not wearing high heels; although the ladies do wear some mean high heels down the Strip. It’s like a fashion show. If you are wearing high heels take a cab please as its tough walking even in sneakers. There will be lots of people so try not to be in a hurry and give yourself extra time if you have to walk to see a show or some other event. Uber, yup, you can of course get an Uber from anywhere to anywhere. Just download the App (IOS | Android) and setup an account. For all the ground transportation details, check here. 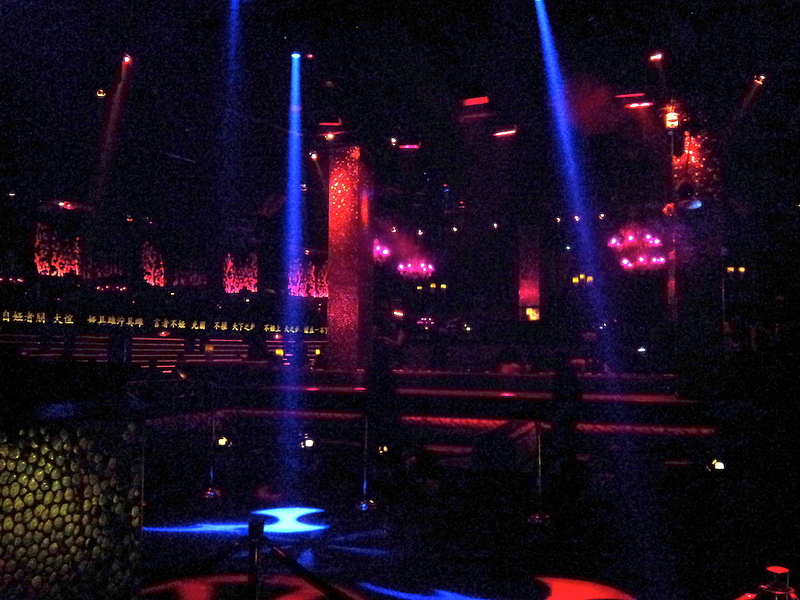 Vegas has no shortage of these, two of the most famous are Marquee in the Cosmopolitan and TAO in the Venetian. It’s all about being exclusive. Dress to impress as it increases your chance of getting admitted. If you are a posse of girls dressed to party, you can get in for free I’m told. If you are a single guy, you’ll have to pay unless those girls are with you :-). 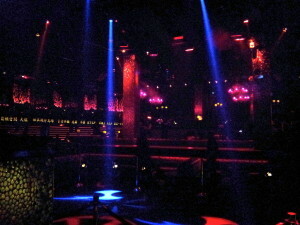 The music is usually good as Vegas tries to attract top DJs and so is the atmosphere. You can rent cabanas/tables and drink to your heart’s content all night. Be prepared to corralled and wait. Plus brink some for of ID as they are very adamant about checking your age. It’s Las Vegas and there is no shortage of this at all. From Cirque de Soleil to Jabberwockeez PRiSM (really clever dancers who rose from winning a competition on MTV), David Copperfield. You name it, Vegas probably has it. Plus as you walk down the Strip, you are solicited to go to Strip Clubs where they will take you to the Club in a limousine and offer free drinks to complete the package. It’s Vegas baby! You can buy discounted tickets from three booths on the Strip. One across from New York-New York hotel, one on the walkway just before you get to planet hollywood and the third just outside of the Bally’s hotel. Each of the hotels also have their own box offices as well. If you’ve never been to Vegas, then a show is in order. I’ve seen a few and have never been disappointed; Tom Jones, David Copperfield, “O” and Craig Ferguson. A Vegas show just takes you to another place and sometimes you need that bit of distraction. 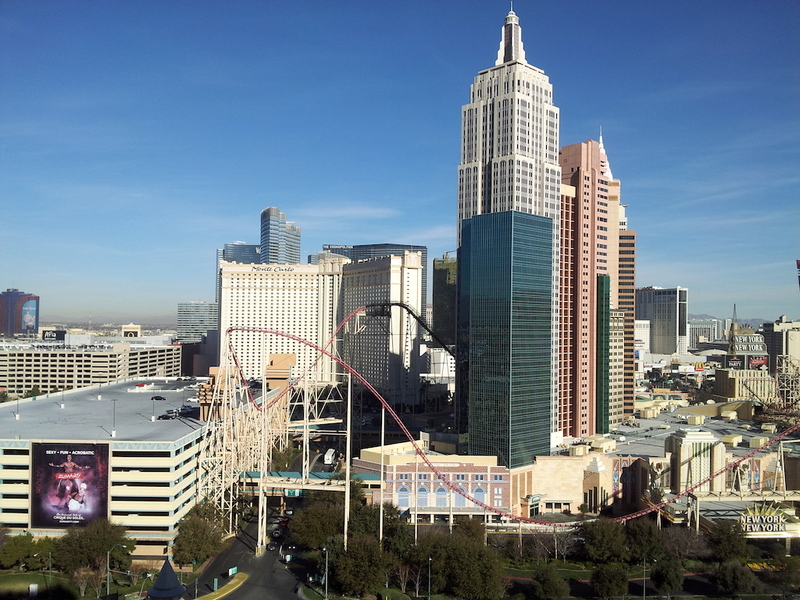 Most recently, there’s the T-Mobile Arena which is located behind New York-New York hotel across from the Monte Carlo hotel. This is what its all about and only a few hotels don’t have gambling on their premises (Vdara comes to mind). But not to worry there is no shortage of it all. Set your gambling budget, decide what you’ll do if you win a certain amount and get going. I know that won’t happen as you’ll just go gamble, lose it all and go back for more of the same. So don’t cry once its all gone. Try to have some fun as well. There’s even gambling in the airport while you wait for your flight. So an airline delay can be a good or an even worst thing. This will make you go broke if you are not careful, but luckily Vegas has a ton of eating choices ranging from cheap to really expensive. Some of the hotels will give you coupons to get you started, but you’ll still spend quite a bit by the time you are done. 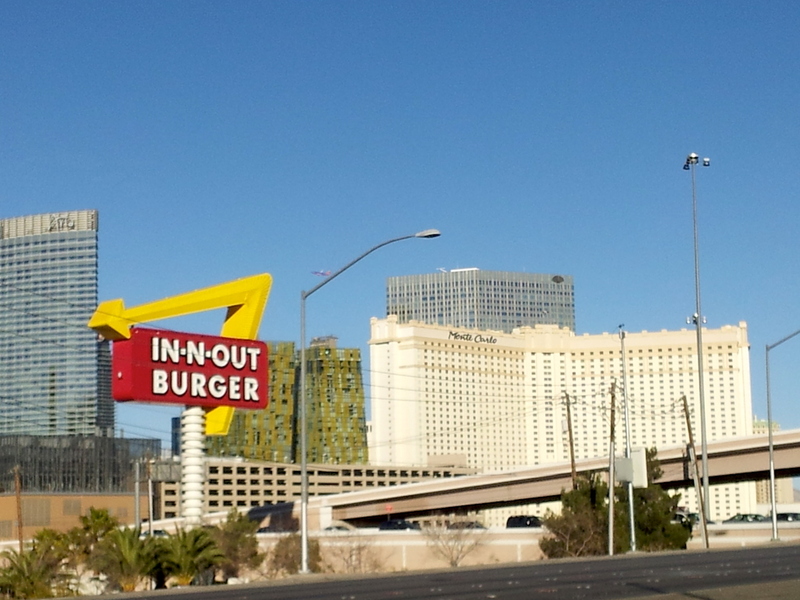 Restaurants and bars are in all the hotels, plus there are a few In-N-Out Burger joints (newest one is on the Strip at the LINQ across from Caesar’s Palace), plus Fat Burger and FukuBurger Truck to choose from. Just watch your spending and look out for the bargains. There is no shortage of places to spend your money in Vegas. From the hotels with their very elaborate shopping arcades (Caesars and Venetian and Paris) to the Fashion Mall to the stores along the Strip, you have a plethora of choices. Each of the hotels has extensive areas where you can shop ’till you drop. And really high end things as well; yes there’s a Louis Vuitton store too. I mean there are three Apple stores in Las Vegas, so that should tell you something. 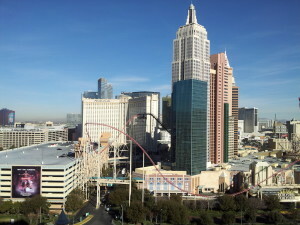 There are three hotels on the Strip that have a roller coater; New York-New York, Circus Circus and the Stratosphere. Also, if you rent a car and head down to the California/Nevada border you can ride a steel coaster that’s down there at Buffalo Bill’s. 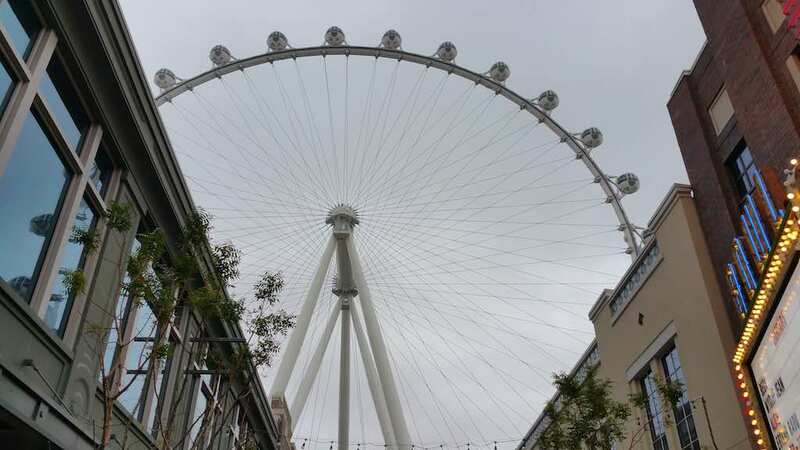 Not quite a roller coast, but a huge ferris wheel is the HighRoller at the LINQ which takes about 30 minutes to make its round. One cool thing is that you can actually charter the pod that has a bar in it! How cool is that? So there you have it a lot of things to do in Las Vegas; its not just gambling at all. Oh and did I mention you can drink alcohol along the Strip. One of the few places in the U.S. where you can drink on the streets; legally. What have you found when you’ve visited Vegas? Please leave a comment below please. ← Travel Tip: Which Airplane Seat Assignments Should I Choose If Two People Are Traveling? I will definitely share this site with my friends. Thanks for sharing.I will keep visiting this blog very often. Thanks.